Wake Up Warrior founder Garrett J. White announced today that the Movement known as “The Brotherhood” will commit a Minimum of $100k to the Navy Seals Fund campaign in 2016. Wake Up Warrior founder Garrett J. 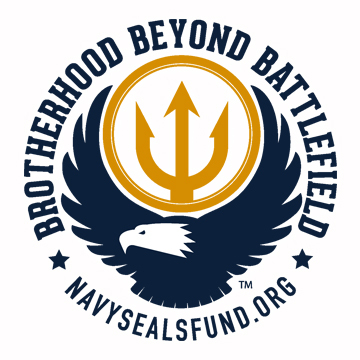 White announced today that the Movement known as “The Brotherhood” will commit a Minimum of $100k to the Navy Seals Fund campaign in 2016. Donations by WUW will benefit NSF’s direct programs and services for Active and retired Navy SEAL’s and their families. These services ease the wounded, their caregivers, and families by aiding them in the recovery process physically, mentally and emotionally on their transition into civilian life. “The Navy SEALs Fund is grateful for Wake Up Warrior for the support and care they have shown to the active and retired Seals we serve,” said Rachel Dzieran, Chief Executive officer at the Navy SEALs Fund. “Their generosity and service provides NSF with the critical resources that we need to continue providing life-saving and family impacting programs and services to our special forces service members, free of charge." America’s Navy SEALs carry the wounds of war, both visible and invisible and Wake Up Warrior as an organization feels called to serve as the title sponsor of the fund in 2016 with support financially but also with man power, networks and public awareness campaigns. This latest commitment to the SEALs by WUW will match almost 40% of the funds resources from 2015 and will allow the fund to step into the light it needs to, in order to truly make the impact it feels called to make. Wake Up Warrior will donate a portion of each tuition for each of the business men, who travel from around the globe to Laguna Beach, CA each month for the Crucible known as Warrior Week. At the conclusion of Warrior Week, in a sacred ceremony the men of that Warrior Week will present a check to the Navy SEALs Fund and will learn about the SEAL and his Family that they are supporting. Navy SEALs Fund is a non-profit, 501 (c)(3), organization established in December of 2009 by former Navy SEALs. The primary mission of the Navy SEALs Fund is to provide relief through educational and/or financial assistance for current and former SEAL teammates and families. The overall objective is to reduce the financial burden of members of the Navy SEAL Community who are in need of assistance. Headquartered in Laguna Beach, CA Wake Up Warrior has become The #1 training system in the world for Modern-Married-Businessman who are committed to Having It All across the Core Four domains of life: Body, Being, Balance and Business. What started as a small simple strategy in 2012 has grown into a Global Movement known simply as “The Brotherhood”.